A first tier machine, the indexer is an infinite apiarist's chest. 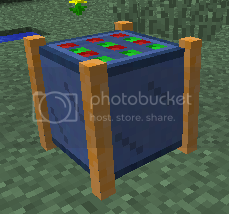 It comes with 2 additional sorting modes in comparison to the apiarist's chest. This mode sorts the bees by their type, in the order of queens, princesses, and then drones. 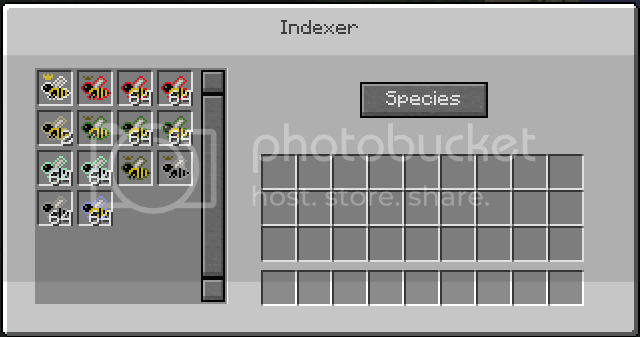 This mode sorts the bees by their species, in the order that the indexer displays them. Example: Forest (not the dye one of the same name), Steadfast, Edenic, and then Virulent.